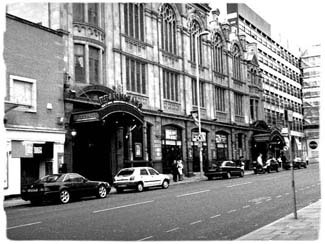 Brannigans Nightclub is situated in Manchester and has become well known over the years as one of the most haunted bars in England. In the upper floors of the building, above the bar, is an old church - Albert Hall - which was completed in 1910. Many people believe that Reverend Sam Collier is one of the ghosts that not only haunt the club, but the church above too. So, if you're out for a drink, you might be in for more than you bargained for! Staff at the nightclub have often reported the sensation of being followed and even pushed by unseen hands on and around the staircase. Taps have been known to turn themselves on at full-force, glasses and bottles in the bar area are also thrown around. Could this violent poltergiest activity be caused by an evil man called Godfrey, who has been picked up on in the past by various mediums..?